I’m sad to say that for various reasons, including ones involving my personal (i.e., non-public) schedule, I’m just not going to be able to make it to GaymerX2, where I had been scheduled to be a Boss of Honor. This makes me very sad, because, one, I was really looking forward to it, and two, everyone who will be there is certain to be having a whole bunch of fun and I won’t be there to have it with them. But some things you just can’t avoid, and this is one of them. Before anyone asks, no, this announcement is unrelated to this bit of news. This was something else entirely, and I had been in communication with the GaymerX2 folks about it for a while. Tried to make it work, and sadly, just couldn’t. The GaymerX2 people were very cool during the whole situation, however, and I thank them for it. Sorry to everyone who was looking forward to seeing me at GaymerX2 this year. If it means anything, I hope to be in the Bay Area for a public event at some point this year — perhaps on tour, or at another event if not. Either way, I’ll hopefully see you all before the end of the year. And for those who are wondering: Why, yes, I totally encourage you to show up for GaymerX2, even though I will not be able to attend. It’ll still be a ton of fun. And that’s a lot of fun to be had. As you all know, I wrote a novel called Lock In, which is a near future thriller, set in a time where a disease called “Haden’s Syndrome” has caused millions to be trapped in their own bodies. 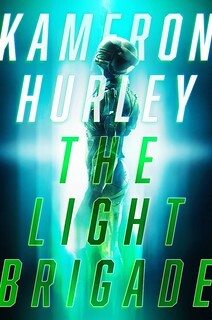 That novel is going to be out on August 26 (August 28 in the UK). What you don’t know is that I also wrote a novella, “Unlocked,” that’s set in the same world. This novella is an oral history of Haden’s syndrome: How it started, how it spread, what it did to the people who contracted it and to the nation and the world as we scrambled to contain the disease and then help those afflicted. I wrote the novella early this year, and for two reasons. One, while Haden’s syndrome is pretty well addressed in Lock In, the novel takes place in a time where the world has been living with the disease for decades, which means society has already made the changes that come with such a momentous event. I wanted to explore how we got there, and the novella let me do that. Two, I’ve been wanting to do something in the “oral history” format for years — I actually intended to do a two-book series in the format before World War Z came out and took the wind out of those particular sails — and exploring the progress of Haden’s syndrome offered a fantastic opportunity to let me finally get into that format. So I wrote the novella, mostly for fun and my own curiosity. When it was done, I realized it would make for a great way to lead people into the world of Lock In. Tor agreed, which is why it’s releasing “Unlocked” as an eBook on May 7. All the details for that, including how to pre-order are here. But wait! There’s more! For those of you who prefer a printed version, there will also be a limited edition signed hardcover version from Subterranean Press — more information on that (including for pre-order) to come. And if you prefer your novellas in audio, that version will be coming from Audible in the reasonably near future as well. More information on that one, too, as we go along. 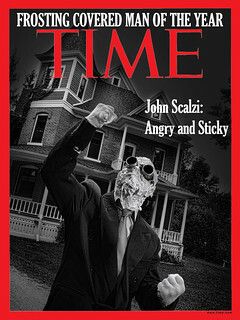 So, really: Whatever format you like your Scalzi, it’s going to be available for you. I’m very excited that “Unlocked” is getting out to you. It was a blast to write and I think you’ll get caught up in how the world you know today changes into the world of Lock In. I can’t wait for you to experience it. Oh, boy, Tax Day! That’s when I find out how much my refund is! That’s right! 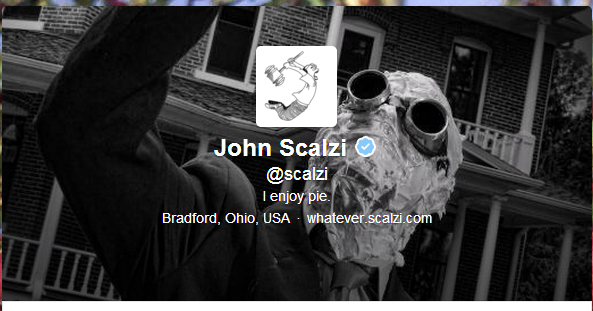 I am now verified on Twitter! It’s your assurance that whenever I write about gremlins, it’s really me, and not, say, Mary Robinette Kowal, posing as me for nefarious purposes. And what a relief that is. For all of us.